The Large Underground Xenon (LUX) experiment, a dual-phase xenon time-projection chamber operating at the Sanford Underground Research Facility (Lead, South Dakota), was cooled and filled in February 2013. 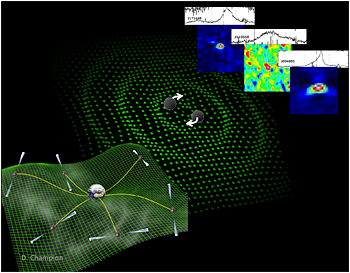 An overview of the experiment and detection techniques will be provided followed by results of the first WIMP search dataset, taken during the period April to August 2013, presenting the analysis of 85.3 live-days of data with a fiducial volume of 118 kg, demonstrating the path to the world-leading sensitivity of the LUX experiment. Gas accretion from the cosmic web and its transformation into stars drives the evolution of galaxies. Consequently, the formation of molecular clouds and then stars are significant steps in our cosmic origins. Understanding these processes in a galactic context represents a major, long-standing goal of astronomy. New facilities across the spectrum, including ALMA, at last give us the tools to identify the physical drivers of these processes across the galaxy population. I will discuss our current knowledge and future prospects focusing on three key steps: the emergence of a molecular interstellar medium, the formation of dense gas within this medium, and the formation of stars from this dense gas. Each of these processes represents a limiting step across a key part of the galaxy population, from dwarf galaxies to starbursts. In particular, I will show how an interplay of metallicity and gravity drives the molecular abundance and show how dense, turbulent superclouds drive the enhanced efficiency in starbursts. Finally, I will highlight the exciting prospects for rapid progress in this field using the awesome spatial resolution and sensitivity to physical conditions of the next generation of long wavelength instruments. Observations of the structure and dynamics of different stellar populations in the Milky Way's disk provide a unique perspective on disk formation, evolution, and dynamics. I will review our current knowledge of the chemo-orbital structure of the disk and its implications for our understanding of how the Milky Way formed and evolved. In particular, I will show recent results from a dissection into mono-abundance populations (MAPs) of the Galactic disk based on SDSS/SEGUE data. These results show that the individual components are simple, but exhibit very different spatial and kinematic structure, with important implications for the formation and evolution of the Milky Way's disk. I will further present a new dynamical measurement of the MW's surface density between 4 and 10 kpc, obtained by rigorous 3-integral modeling of the vertical kinematics of MAPs. Combined with the latest measurements of the MW's rotation curve, this allows us to separate the disk and halo contributions to the gravitational potential and to measure the mass of the MW's stellar disk. Stellar feedback has a profound influence in many astrophysical phenomena, yet it is often cited as one of the biggest uncertainties in galaxy formation models today. This uncertainty stems from a dearth of observational constraints as well as the great dynamic range between the small scales (<1 pc) where feedback occurs and the large scales (>1 kpc) of galaxies that are shaped by this feedback. In this talk, I will show how multiwavelength observations can be used to overcome these challenges and to assess the role of many stellar feedback mechanisms (e.g., radiation, photoionization, stellar winds, supernovae, protostellar outflows, and cosmic rays). I will present results from the application of this approach to a variety of sources and discuss the implications regarding the dynamics of star-forming regions. Finally, I will highlight the exciting prospects of using current and upcoming facilities to explore feedback in the diverse conditions of nearby galaxies and to probe the effect of feedback on molecular gas properties. Gamma-ray blazars are among the most extreme astrophysical sources, harboring energetic phenomena far beyond that attainable by terrestrial accelerators. These galaxies are understood to be active galactic nuclei that are powered by accretion onto supermassive black holes and have relativistic jets pointed along the Earth line of sight. The very high energy photons emitted by these extragalactic sources are detectable with ground based imaging atmospheric Cerenkov telescopes such as VERITAS. As these photons propogate extragalactic distances, the interaction with the diffuse starlight that pervades the entire Universe results in a distance and energy dependent gamma-ray opacity, offering a unique method for probing photon densities on cosmological scales. These galaxies have also been postulated to be potential sources of ultra-high-energy cosmic rays, a theory which can be examined through the deep gamma-ray observations of sources which probe moderate gamma-ray opacities. 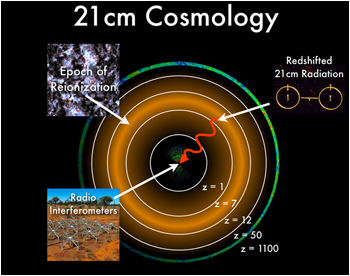 Realizing the promise of 21 cm cosmology to provide an exquisite probe of astrophysics and cosmology during the cosmic dark ages and the epoch of reionization has proven extremely challenging. We're looking for a small signal buried under foregrounds orders of magnitude stronger. 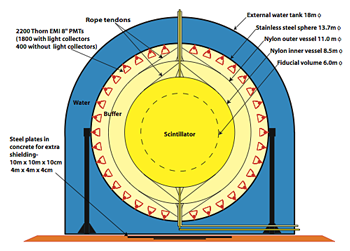 We know that we're going to need very sensitive, and thus very large, low frequency interferometers, which present their own set of difficulties. And, as I will explain, we're going to need a rigorous statistical analysis of the maps we make to extract interesting cosmological information. I will discuss the steps we've taken to overcome these obstacles with prototype data from the Murchison Widefield Array by isolating foregrounds to a region of Fourier space outside a clean ''epoch of reionization window.'' Additionally, I will present some of most recent and exciting predictions for what 21 cm cosmology can tell us as we move to larger telescopes and higher redshifts. Axions and Moduli are ubiquitous in theories of beyond the standard model particle physics, in particular those containing SUSY and/or extra dimensions. The mass scales of these particles are unknown and so priors are important and can be motivated by various considerations, including naturalness, least information, or even within string theory. When masses span a large range, so do the cosmological phenomena produced. In this talk I will explore two aspects of the physics of axions and moduli with relevance to cosmology and astrophysics. Firstly, I will discuss the generation of perturbations in dark matter and dark radiation during and following inflation, and how, using CMB data, these constrain the inflationary epoch and SUSY. In the second half of the talk I will discuss late time dark matter phenomenology of axions. Ultra-light axions can behave as "Fuzzy" dark matter, and imprint a characteristic scale on structure formation. For a particular range of masses this scale is relevant to the small-scale problems of cold dark matter, and can out-perform a warm dark matter solution. I will close with discussing future prospects from data and challenges for theoretical techniques. From its discovery 50 years ago through recent measurements of its fine angular scale anisotropy, the study of the cosmic microwave background (CMB) has led to surprises and spectacular progress in our quest to understand the origin, make up and evolution of our universe. We now have a standard cosmological model, LCDM, that fits all cosmological data with only six parameters -- although tensions in the data are beginning to surface. Far from being the last word in cosmology, the model points to exciting times ahead using the CMB to explore new physics, i.e., inflation, dark matter, dark energy, neutrino masses and possibly extra relativistic species, or dark radiation. This talk will review the current status of CMB measurements, with an emphasis on recent results from the South Pole Telescope, and discuss ongoing work and future plans for increasingly sensitive polarization and fine angular scale anisotropy measurements. I will discuss recent results from measurements of the Lyman-alpha forest in the spectra of distant quasars by the Baryon Oscillation Spectroscopic Survey (BOSS), part of the Sloan Digital Sky Survey (SDSS-III). Our main success to date is detection of the baryon acoustic oscillation feature at z ~ 2.4 in the three-dimensional correlation function of the transmitted flux fraction. This result is derived from a sample of ~60k quasars in Data Release 9. In a striking confirmation of the standard cosmological model, the position of the baryonic peak is measured with 2% statistical and 1% systematic error and is consistent with the LCDM model. 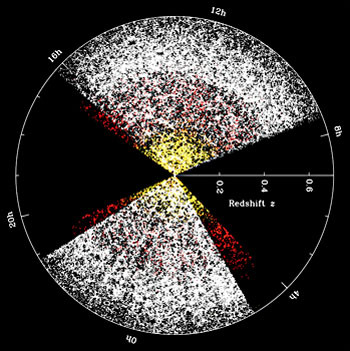 Pending permission from the collaboration, I will present results for the ~140k high redshift quasars in the Data Release 11. In addition and somewhat unexpectedly, we have also detected BAO in the cross-correlation between Lyman-alpha forest and quasar positions. Combination of low and high-redshift BAO measurements allow us to put non-trivial constraints on the cosmological model without inclusion of the CMB data. Finally, I will mention some of the other developments: measurement of the 1D power spectrum of flux fluctuations, first measurements of the Lyman-beta forest power spectrum and renewed efforts to simulate the intergalactic medium responsible for the forest. Our analysis of data from the Fermi Gamma-ray Space Telescope revealed a pair of large gamma-ray bubble structures, named the Fermi bubbles, each extending ~10 kpc above and below the Galactic center. I will present new results using five years Fermi-LAT data and multi-wavelength observations of the Fermi bubbles in X-ray, microwave, and radio, including updates from dedicated observations. New observations help us to distinguish hadronic from leptonic origin of the cosmic-ray electrons emitting gamma-ray/radio emission, and constrain the magnetic field within the Fermi bubbles. I will also show our numerical simulations which demonstrate that the bubble structure could be evidence for past accretion events and outflow from the central supermassive black hole. 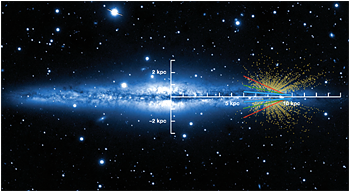 Furthermore, we recently found gamma-ray evidence for large-scale collimated jet-like structure penetrating through the bubbles from the Galactic center, which might provide further evidence of a past activity in the Galactic center. We have proposed to change the survey strategy of Fermi to increase the exposure at the inner Galaxy by more than a factor of 2. This new survey strategy has been initiated since December 2013 and will last for at least one year. I will end up with a discussion of future gamma-ray space missions. 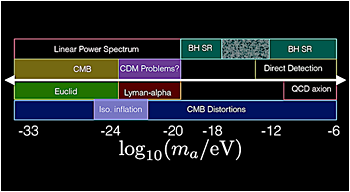 Since COBE/FIRAS we know that the CMB spectrum is extremely close to a perfect blackbody. There are, however, a number of processes in the early Universe that should create spectral distortions at a level that is within reach of present day technology. I will give an overview of recent theoretical and experimental developments, explaining why future measurements of the CMB spectrum will open up an unexplored window to early-universe and particle physics, with possible non-standard surprises but also guaranteed signals awaiting us. The abundance of substructure within dark matter halos surrounding galaxies has been an area of intensive study for over a decade. Quantifying the small-scale structure of dark matter halos, which is influenced by the spectrum of primordial density fluctuations and the micro-physics of dark matter, can allow us to probe multiple areas of fundamental physics. Observationally, however, very little is known about the true abundance and the structure of dark matter sub-halos. In this talk, I will discuss the promising prospects of using ALMA and the recently discovered populations of strong gravitational lenses in mm/submm-wave surveys (SPT, Herschel, ACT, Planck) for mapping the small-scale structure of galaxy halos. In particular, I will show that we can measure the power spectrum of dark matter substructure by analyzing the correlations in perturbations of strongly lensed images. I will show that the large number of discovered lenses and the spectacular power of ALMA paint a bright future for a robust characterization of the small-scale structure of dark matter halos. 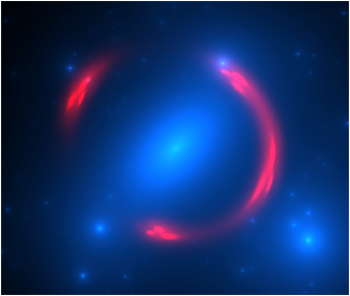 Weak gravitational lensing is a powerful tool to understand how galaxies populate dark matter halos. In this talk, I report a weak lensing measurement of SDSS-III/CMASS galaxies, which is a luminous, high redshift (z~0.5), spectroscopic galaxy sample. For this analysis, I use the publicly-available CFHTLenS galaxy catalog for shapes and photometric redshifts of source galaxies. After performing systematic tests carefully, I find a highly significant detection of the CMASS weak lensing signal with signal-to-noise ratio of 28. Combining with clustering signals, I fit a halo model to the measurements. Based on this result, I will discuss details of matter properties of the CMASS galaxies such as stellar mass and halo concentration. In addition, I will introduce preliminary results of cosmological constraints obtained by combining the lensing and clustering measurements. 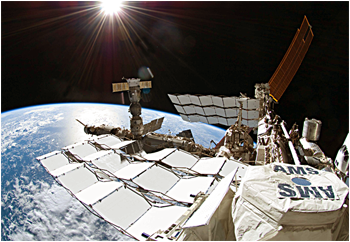 The Alpha Magnetic Spectrometer (AMS-02) is a precision large-acceptance high energy particle detector which was successfully deployed in 2011 on the International Space Station (ISS) where it will operate for the next decades. To date, the detector has collected over 40-billion cosmic ray events. Among the physics objectives of AMS are a search for the understanding of Dark Matter, Antimatter, the origin of cosmic rays and the exploration of new physics phenomena. An overview of the operations and performance of the AMS-02 detector as well as the results based on data collected during the first three years of operations in space will be presented. In a major merger, two supermassive black holes will meet at the center of the merger remnant. Before their eventual coalescence, the giant black hole pair endures prolonged interaction with its environment, which may produce electromagnetic emissions. If observed, these would represent direct probes of late-stage merger dynamics, and could provide a smoking gun for gravitational wave emitters detectable by "Pulsar Timing Arrays". No small-orbit binary systems have yet been conclusively confirmed. 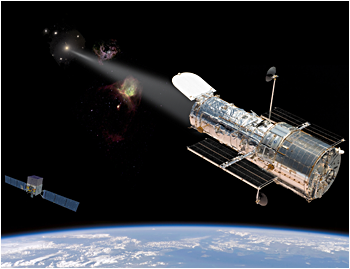 We are investigating the use of both electromagnetic observations and Pulsar Timing Arrays to constrain, support, or disprove the binary SMBH hypothesis in current candidate binary systems. We will present results from ongoing searches for binary supermassive black holes, and will consider the prospects of Pulsar Timing Arrays to place physically interesting gravitational wave limits on target systems. The Sun is fueled by a series of nuclear reactions that produce the energy that makes it shine. Neutrinos produced by these nuclear reactions exit the Sun and reach Earth within minutes, providing us with key information about what goes on at the core of our star. This talk presents progress towards the rst measurement of pp neutrinos in the Borexino detector, which would be the rst direct real-time measurement of pp neutrinos independent of other experiments. 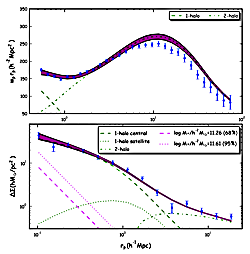 This would be, furthermore, another validation of the LMA-MSW model of neutrino oscillations. In addition, it would complete the spectroscopy of pp chain neutrinos in Borexino, thus validating the experiment itself and its previous results. A core collapse supernova is a very powerful source of ~ 10-20 MeV neutrinos. In the extreme environment of the collapsing star, the phenomenology of these neutrinos is very rich, and, in many respects, unique. I will first review the theory of neutrino emission and propagation inside a supernova, with focus on the physics of neutrino oscillations. In the second part of the talk, I will discuss what fundamental properties might be learned from future detections of supernova neutrinos. I will emphasize the potential of studying the diffuse flux of neutrinos from all the supernovae in the universe. This flux is constant in time and therefore it is a guaranteed signal at a detector of mass 0.1 Mt or higher. It also offers a unique possibility to study the whole population of supernovae, including those with failed or very dim explosions. We re-analyse the Planck data and find that the 217GHz x 217GHz detector set spectrum used in the Planck analysis is responsible for some of the tension between the Planck parameters and other astronomical measurements. We will describe our map-based foreground cleaning procedure, which relies on a combination of 353 GHz and 545 GHz maps to reduce residual foregrounds in the intermediate frequency maps used for cosmological inference. While in broad agreement with the results reported by the Planck team, the parameters we obtain using our foreground cleaning imply a universe with a lower matter density of Omega_m=0.302 +- 0.015, and parameter values generally more consistent with pre-Planck CMB analyses and astronomical observations. We compare our cleaning procedure with the foreground modelling used by the Planck team and find good agreement. 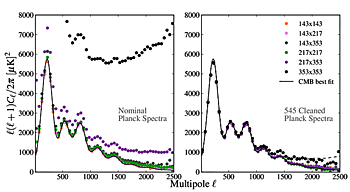 The difference in parameters between our analysis and that of the Planck team is mostly due to our use of cross-spectra from the publicly available survey maps instead of their use of the detector set cross-spectra which include pixels only observed in one of the surveys. We show evidence suggesting residual systematics in the detector set spectra used in the Planck likelihood code, which is substantially reduced for our spectra. Surveys of galaxy clusters provide a sensitive probe of cosmology by measuring the evolution of the halo mass function. With a number of surveys at optical, millimeter, and X-ray wavelengths on-going or starting in the near futures, cluster count experiments will be one the most important cosmological probes over the next decade. However, none of the typical survey observables (X-ray luminosity, optical richness, SZ flux) directly measures the cluster mass. Already current cluster surveys are systematically limited by uncertainties in the relation between cluster mass and observables. Cluster weak lensing is the most promising observational method to calibrate the mass scaling to the required precision, but requires the control of systematic errors to a few percent each. I will review our "Weighing the Giants" project to measure accurate individual weak lensing masses for the largest sample of clusters to date, and discuss its first cosmological applications for cluster count experiments as well as the baryonic mass fraction test. 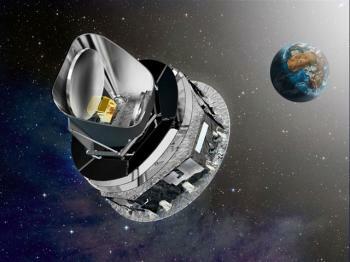 In this era of precision cosmology we are relying more than ever on our theories to decode observations. Models phrased in an Effective Field Theory (EFT) language are particularly useful, since they rely on the existence of a decoupling limit which makes the low energy physics phenomena largely independent of short distance physics. Why is such description desirable? It means we don't need to know the full behaviour of the theory, but only its low energy limit to make predictions for observables at the scale of the experiment we are interested in. In this talk I will discuss a different reorganisation of EFTs describing single-field models for cosmic acceleration (in the early and late universe) with large derivative interactions. The decoupling limit in these theories relies on a derivative hierarchy, rather than a hierarchy between energy scales. Examples include Dirac--Born--Infeld inflation and galileon models in the context of modified gravity. I will discuss the criterion of predictivity of these theories and identify the scales up to which the predictions of these theories are reliable to decode observational data. 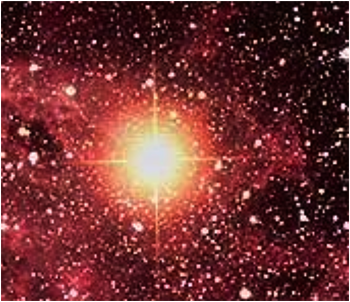 Star formation is observed to be very inefficient, both within galaxies and cosmologically. Feedback from massive stars and growing black holes has emerged as the most promising solution to explain these facts and broadly bring galaxy formation models in agreement with observations. 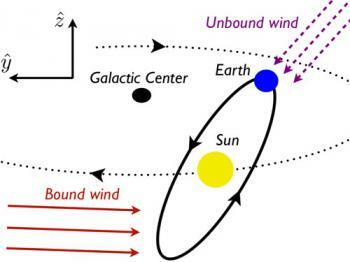 However, most galaxy formation models to date have had to rely on significant simplifying assumptions and parameters must typically be tuned to obtain realistic galaxy populations. 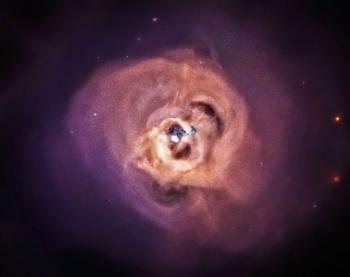 I will argue that the predictive power of cosmological simulations of galaxy formation can now be greatly improved by directly resolving the main structures in the interstellar medium of galaxies and bridging the historical gap between cosmological models and detailed studies of star formation and feedback on galactic scales. I will present new high-resolution simulations of supernova remnant evolution in an inhomogeneous medium and show how the results can be used to model supernova feedback more accurately in cosmological simulations. 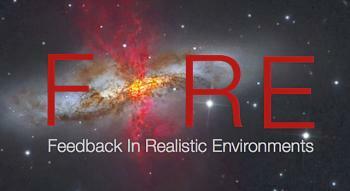 I will then introduce the FIRE ("Feedback In Realistic Environments") cosmological simulation project and present early results on the predicted stellar mass function of galaxies, galactic winds, and properties of halo gas around high-redshift galaxies. 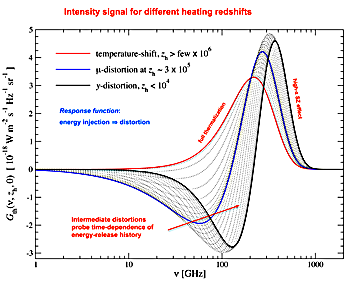 The size of both galaxy redshift surveys and N-body simulations of dark matter clustering have grown tremendously over the past few decades, which provides the opportunity to exploit the quasi- and non-linear regime for cosmological information. I will discuss the observational and theoretical challenges in measuring and modeling the small-scale redshift space clustering of galaxies in SDSS-III BOSS, as well as its great promise -- we infer the growth rate of cosmic structure at z=0.57 to 2.5% precision and robustly predict the impact of "galaxy" physics on clustering in the quasi-linear regime. I will demonstrate quantitatively the importance of precise models for broadband clustering in the quasi-linear regime for future redshift survey constraints on dark energy and neutrino mass. We recently detected an unidentified emission line at 3.57 keV in the Chandra observations of the Perseus cluster and the stacked XMM-Newton observations of 73 galaxy clusters. This line was detected at >3sigma statistical significance in five independent samples of XMM-Newton. The lack of any atomic transitions at this energy in thermal plasma, hints that the line could be a signature of decaying sterile neutrinos. I will discuss the search for this line in the stacked observations of galaxy clusters and provide an update on active searches for this feature in other dark matter rich astrophysical systems. 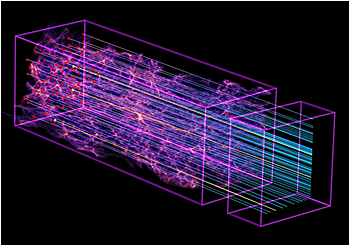 The cosmic neutrino background (CvB), produced about one second after the Big Bang, permeates the Universe today. New technological advancements make neutrino capture on tritium a promising path forward towards the detection of the CvB. I will show that gravitational focusing by the Sun causes the expected neutrino capture rate to modulate annually. The amplitude and phase of the modulation depend on the phase-space distribution of the local neutrino background, which is perturbed by structure formation. 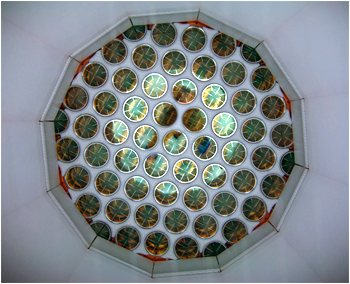 Gravitational focusing is the only source of modulation for neutrino capture experiments, in contrast to dark-matter direct-detection searches where the Earth's time-dependent velocity relative to the Sun also plays a role. I will also show that CvB observatories may measure anisotropies in the cosmic neutrino velocity and spin distributions by polarizing the tritium targets. The polarized-target measurements may constrain non-standard neutrino interactions, such as neutrino magnetic dipole moment interactions, that would induce larger anisotropies and help discriminate between Majorana versus Dirac neutrinos. 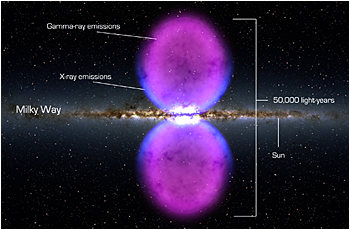 The Fermi bubbles are two large structures in the gamma-ray sky extending up to 55 deg above and below the Galactic center. I will present the analysis of 50 months of Fermi-LAT data from 100 MeV to 500 GeV above 10 deg in Galactic latitude to derive the spectrum and morphology of the Fermi bubbles. I will show results on the spectral shape, spatial substructure, variability of the spectrum as a function of latitude and an estimate of the width of the bubble boundary. I will discuss the modeling of the gamma-ray spectrum with hadronic and leptonic models and the possible relation to the microwave haze. In an inhomogeneous Universe, the physical effect of long-wavelength perturbation on short distances should be such that short-wavelength perturbations effectively evolve in a modified homogeneous universe. We explicitly construct the so-called conformal Fermi normal coordinates (CFNC) through an expansion around the observer's geodesic, which describe the local spacetime as a quasi-FRW metric and are valid at all times. The CFNC formalism demonstrates that the zeroth-order picture is that local expansion rate and spatial curvature are renormalized by long-wavelength perturbations, and the general condition for the spatial curvature to be a constant is derived. 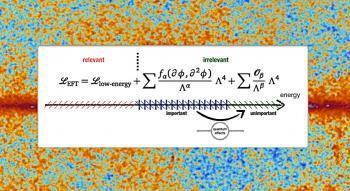 Beyond this "separate universe" picture, CFNC allows for systematic survey of additional local effects from long-wavelength perturbations that cannot be attributed to a re-definition of the background FRW cosmology. The formalism can be useful in the studies of tracer bias, intrinsic alignment and gravitational-wave "fossil" effect. Planck is the third-generation space mission aimed at measuring the Cosmic Microwave Background, a relic of the hot big bang. 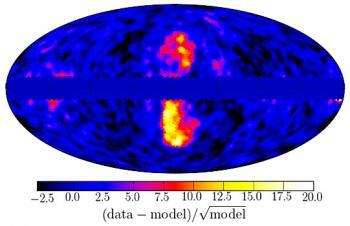 Launched in May 2009 Planck has surveyed the full sky in intensity and polarization with a broad range of frequencies from 30 to 857 Ghz at a resolution as fine as 5 arcminutes above 143Ghz. This month, the Planck collaboration is releasing science results and data from polarization maps of the sky from 30 to 353 GHz. In this talk, I will present the new polarized sky maps from Planck and give an overview of their impact on our understanding of the standard Lambda-CDM cosmological model. I will also discuss what Planck's data can tell us about Galactic polarized foreground emission that potentially impacts current and future searches for the imprint of inflationary gravitational waves on B-mode polarization.